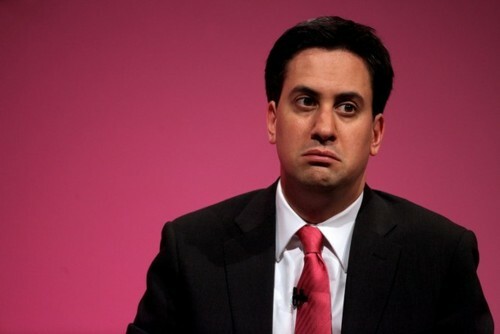 Ed Miliband has every reason to be looking glum as despite seeing Labour leading in the polls he has hit an all time low in personal ratings and his party has dropped support throughout 2014. To support their latest polling, YouGov have produced this neat little chart that tracks voting intention over the last three months. Some in the Labour Party have got all excited that, despite those embarrassing glitches in December, this poll shows them ahead of Conservatives. 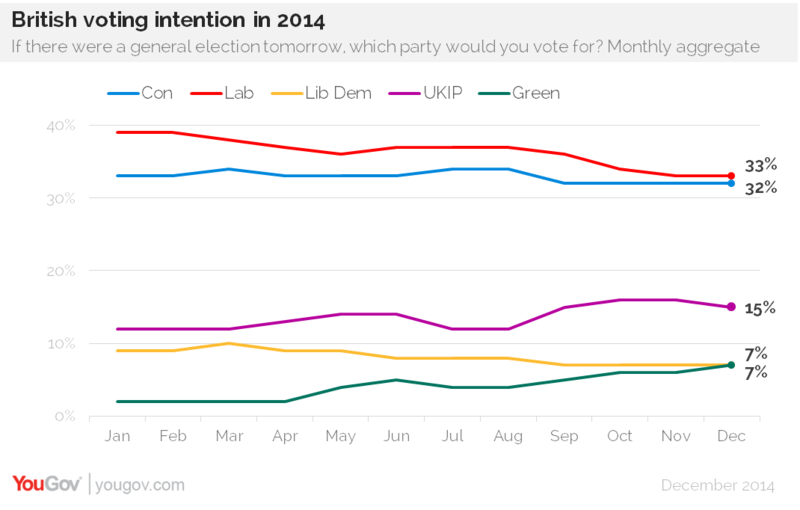 The Green Party are also delighted that, once again, this poll shows them ahead of the Lib Dems. The problem for the Labour Party though is illustrated in this other YouGov chart which looks further back at voting intentions across 2014. Here we can see the long-term trend of Labour support dropping throughout 2014. What is equally interesting is how this drop in support for Labour correlates with Miliband hitting an all time low with his popularity ratings. 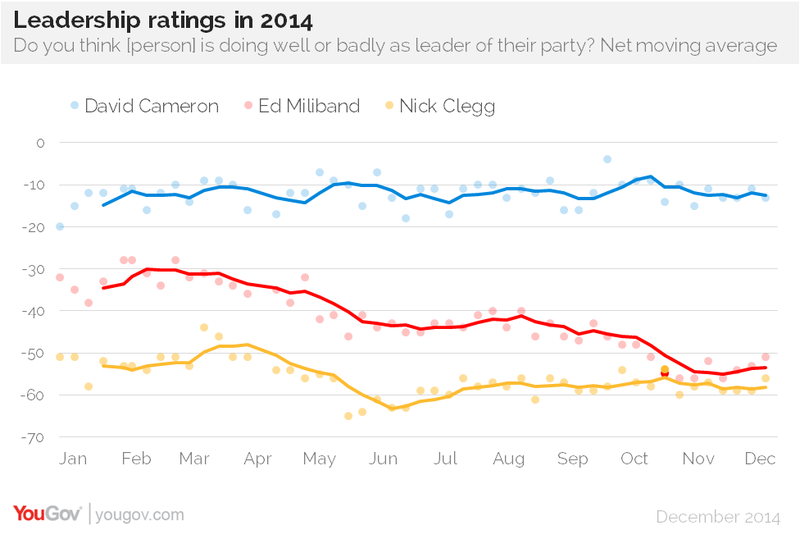 Is Labour’s drop in the polls a reflection of Miliband’s all time unpopularity, or vice-versa? A chicken and egg question. And so the question remains – where are these Labour supporters from the early coalition years going? And thus we move onto the relative growth of the Greens. YouGov paints a nice picture of Green Party support consistently growing through 2014 which resulted in YouGov proclaiming ‘Greens ahead of Lib Dems in longer trend‘ in an article in December 2014. 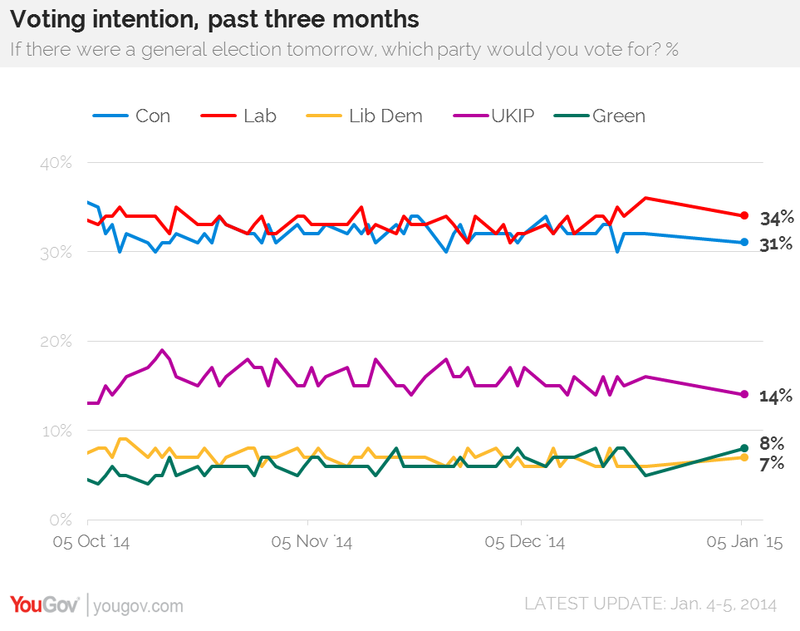 1) Labour dropping another 4% from their 2010 low point to the Greens is significant. 2) Labour, in the last year, have continued to drop in popularity when, while in opposition, they should be riding high on anti-government sentiment – they are not. Before Green readers get too excited though it is worth pointing out that this growth in support is unlikely to result in any additional seats. In Norwich South (feasibly the Green’s second target) a Lord Ashcroft poll showed them doing well but considerably behind Labour. As with many seats, the battle to pick up former Lib Dem voters between the Greens and Labour may well prove crucial. The General Election in 2015 will bring more of the same in terms of overall outcome but it might, just might, also go down in history as the start of the breakdown of two party politics. I think you are too pessimistic about the Greens’ chances of winning seats: if the Green surge continues and Labour continue to drop then the Greens will surely have a real chance of winning in Norwich South and Bristol West, and may have a chance also in Cambridge, Holborn and St.Pancras, etc.